For more than four years, the ruling BJP-led alliance has thwarted attempts by the opposition to table a no-trust motion against the government. Thus, the alacrity with which Lok Sabha Speaker Sumitra Mahajan allowed discussion on the no-confidence motion against the NDA government has raised eyebrows. The intrigue was all the more since the motion was moved by the Telugu Desam Party, which until recently was a coalition partner of the ruling NDA. It may be recalled that among the reasons for the TDP quitting the NDA was the constant taunts from the YSR Congress, the main opposition in Andhra Pradesh, about TDP chief N Chandrababu Naidu’s inability to wangle special status for Andhra despite his personal equation with the PM. With Naidu’s party now moving the no-trust motion, the TDP and the YSRC are trading charges. A YSRC MP said the TDP’s no-trust motion against the Modi government was nothing but drama, keeping the Lok Sabha arithmetics in mind. Another YSRC leader wanted to know why the motion moved by the TDP had been accepted now when a similar motion by his party was stalled in the previous session. TDP leaders say that the YSRC MPs had quit their parliament seats to avoid having to speak against the BJP with whom poll tie-up talks are on. While the motion faces certain defeat, what is not known is, between the two parties, who is friend and who is foe. Bureaucrats and ministers in six key ministries are burning the midnight oil in preparation for Modi’s all-out electoral pitch to tom tom the government’s work in various sectors to benefit the people. The figures and factoids, and the list of government welfare schemes, will form the core of Modi’s Independence Day speech from the Red Fort on August 15, but it has taken a superhuman effort by an army of government servants to put a positive spin on all the schemes. The main theme is that social security has covered a greater part of the population than ever before, led by the Pradhan Mantri Jan Dhan Yojana which led to 28 crore new bank accounts, never mind that most were zero balance accounts. The other schemes are Jan Dhan Se Jan Suraksha, the pension scheme, and Pradhan Mantri Suraksha Bima Yojana which offers cheap insurance cover to the poor. Over the next few weeks, the six ministries dealing in similar welfare schemes, especially for women, have been told to redouble their efforts on the ground so that results are visible before May 2019. The positive spin to the concerted effort was provided by the top brass at NITI Aayog. Last April, the government of India sent US President Donald Trump an official invitation to be the chief guest at the Republic Day parade on January 26, 2019. The idea originated from Amit Shah’s fertile mind—as usual he was thinking ahead, of the 2019 elections, three months later. His view was that it would be a diplomatic and electoral coup, to show what a major force Modi was in the international arena. This ignores the fact that America has just snubbed New Delhi by cancelling the 2+2 talks and Trump himself has teed off on India’s “unfair trade practices” apart from cracking down on Indian immigrants. Still, the Modi/Shah team is hoping Trump’s legendary unpredictability and penchant for taking decisions contrary to advice from the State Department may see him accepting the invite, and giving the party a boost ahead of the Lok Sabha polls. The battle between Finance Minister Arun Jaitley and Piyush Goyal, given charge of the ministry while the incumbent recovers from kidney transplant surgery, is getting quite ridiculous. Recently, NABARD, the bank for agriculture and rural development, invited Goyal, as acting finance minister, to address its annual Foundation Day event on July 12. Goyal declined, citing the burden of work in Delhi, including important meetings and appointments he could not cancel. A NABARD board member who knew Jaitley, called him and he immediately agreed to address the gathering via video conferencing, knowing Goyal had refused the invitation. Goyal was red-faced when told of the development but tried to cover up by inviting journalists who cover the finance ministry to his office for tea and cookies, during the exact period Jaitley was delivering his speech. Quite petty, but that is where the ministerial tug-of-war has reached. Rahul Gandhi’s reshuffle of the 23-member Congress Working Committee means different things to different people. Some leaders have been elevated, some downgraded, others sidelined but the harshest treatment was reserved for Digvijay Singh, the former family groupie, for whom the rejig means virtual banishment. Admittedly, he is not the only one to lose out as the young Congress president tried to strike a fine balance between age and experience to prepare the party for the crucial assembly elections later this year and the Lok Sabha elections which are less than 10 months away. But Diggy’s fall has been the steepest. Less than a year-and-a-half ago, he was among the most powerful general secretaries, but his slide began when, as the party in-charge during the assembly elections in Goa last year, he botched up the Congress’s government formation bid despite the party emerging the single largest in the new assembly. 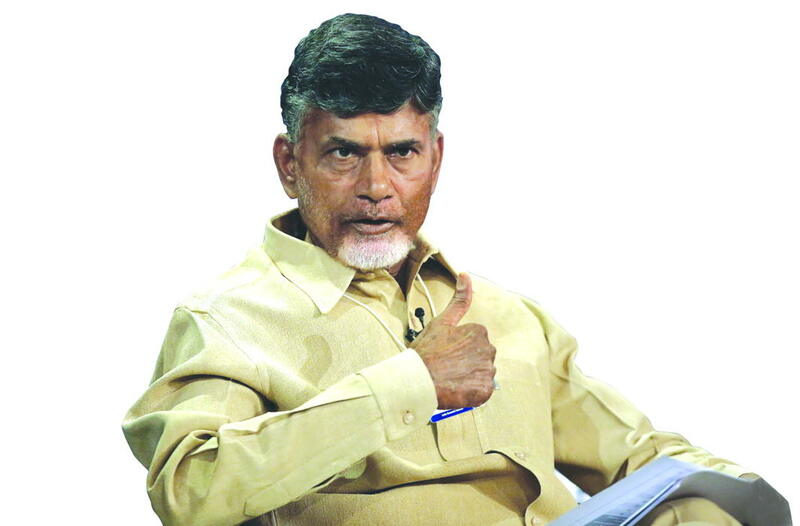 Later, he was stripped as general secretary in charge of Andhra Pradesh, a clear indication of the high command’s lack of faith in his ability to formulate a strategy for the state which is due for assembly elections next summer. For Diggy Raja, the time for sanyas seems at hand. Efforts by Congress President Rahul Gandhi to rein in factional feuds within the party unit in poll-bound Madhya Pradesh are not getting anywhere. Gandhi had tried to appease the three key satraps—MP Congress chief Kamal Nath, poll campaign committee head Jyotiraditya Scindia and coordination committee chairman Digvijaya Singh—by giving each of them clear roles for the elections, but the feuds continue. The party had decided not to project a chief ministerial candidate for the elections, but that hasn’t worked either. Now, posters by “fan clubs” of Nath and Scindia have started appearing across the state, portraying their respective leaders as the next CM. The state leadership has claimed it is a ploy by the BJP’s “dirty tricks department” to create confusion among the voters. Sources say Digvijaya has failed to get any assurance from Nath about tickets for his loyalists. Gandhi needs to be more careful with his strategy and act fast or else the party’s 15-year dry run at the hustings in its erstwhile bastion could continue for another five years, at least. Two days after the Calcutta HC ordered the West Bengal government to set up an anti-human trafficking unit headed by a trained officer, preferably a woman, in every district of the state, Chief Minister Mamata Banerjee has hit back in her own inimitable style. The BJP is maligning the world-renowned Missionaries of Charity, set up by Mother Teresa, she said. Her reference point, though, was away from the state, in Ranchi, where a nun of the mission was recently arrested for allegedly selling a child born to a minor inmate (of the Nirmal Hriday home ) to a couple from Uttar Pradesh.